Guest Test of 2008 Volvo XVC60 by Chris Rees. Video by Honest John. It was a Brit – Paul Horbury – who changed forever Volvo’s shoebox styling ethic by penning cars like the original C70 and S80. Now another British designer is radically changing Volvo’s style: Steve Mattin (whose last job was designing the Mercedes GL and ML) is the man behind the new Volvo XC60, a car whose design, according to Volvo, embodies ideas like ‘emotional’ and ‘dramatic’. It’s certainly a striking design. 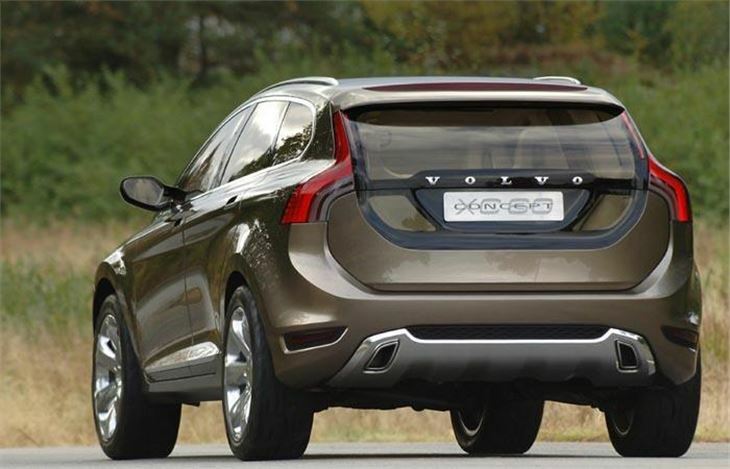 In the compact 4x4 market – a new place for Volvo to populate – it really stands out. An implausibly high waistline and a dramatically sculpted rear end shout for attention. One reason the XC60 is so striking is because it looks so big, rather like a slightly shrunken but modernised XC90, but actually it isn’t that long (it’s only 13cm longer than a Volvo V50, for instance). 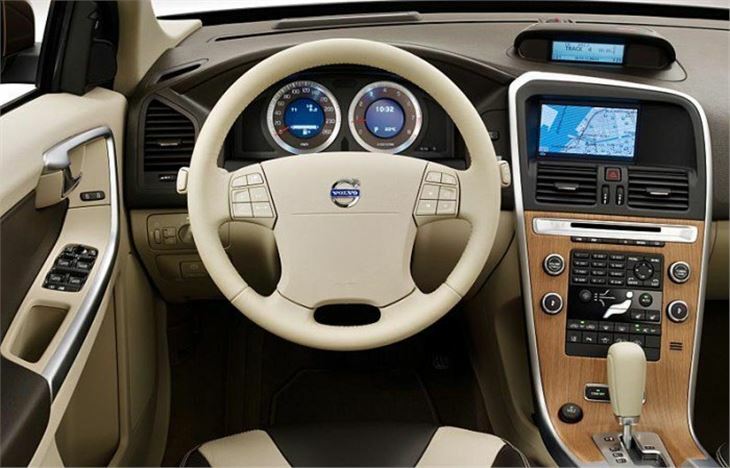 If the exterior is a shock, the interior remains very ‘Volvo’ – which is a Good Thing. It’s full of clean lines, wonderfully tactile surfaces and a choice of tasteful Scandinavian wood or aluminium trim. 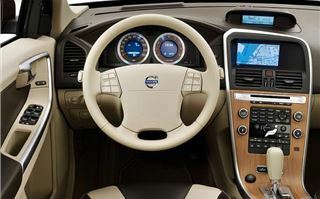 But even here you can appreciate changes: the trademark floating centre console is now angled towards the driver, BMW-style, and the ‘X’ motif on the seats hints at a new sense of adventure from the Swedish car maker. It’s a remarkably practical cabin, too, with lots of space front and rear. The 40/20/40 split rear seats fold extremely easily, leaving a completely flat – if rather high-off-the-ground – load floor. The only real criticism is that the leather seats are a bit slippery around corners. 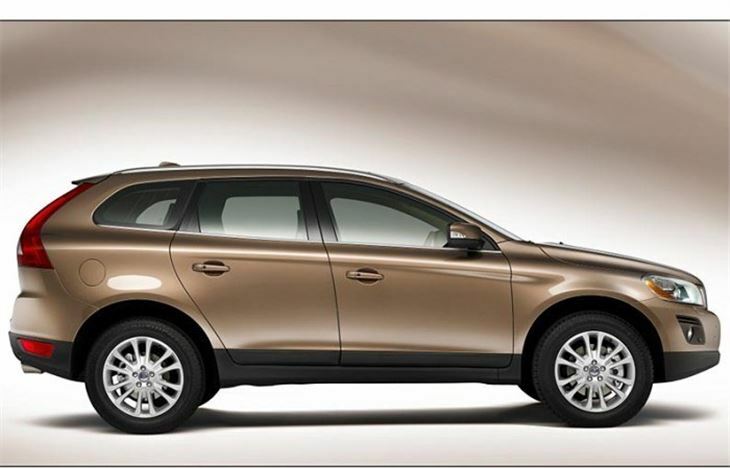 The Belgian-built XC60 inherits almost all of its DNA from other Volvos – most definitely not the Ford Kuga, Volvo is at pains to point out. The platform and technology is mostly derived from the S80, V70 and XC70. That extends to the engines. Although it will only account for 3% of sales, the T6 turbocharged petrol six-cylinder is in many ways the most convincing to drive. It’s very smooth and likes to rev (it’s red-lined at fully 7000rpm), and packs a meaty punch. It’s also a sublime motorway cruiser, with very little engine, road or wind noise at high speed. If you want refinement, opt for the T6 engine. In contrast, the D5 diesel is frankly noisy. 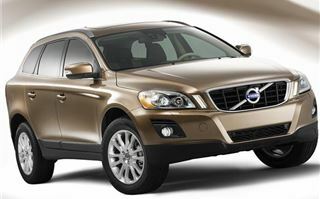 Volvo could really do with a more modern diesel than the five-cylinder unit that it continues to churn out. We didn’t get to drive the 163PS 2.4D model but we did test the 185PS D5 which, while torquey, sounds gruff and unrefined by today’s standards. At launch, all XC60s will be all-wheel drive. 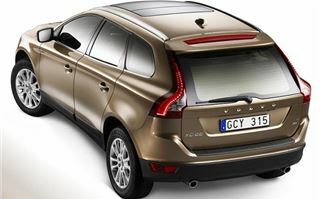 However, in May 2009, Volvo will introduce a two-wheel drive XC60 with a more powerful (175PS) version of the 2.4D engine. Despite the extra power, Volvo says it will emit less CO2 (around 170g/km versus 199g/km) and be Euro 5 emissions compliant. 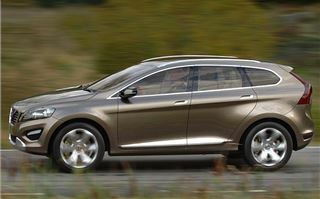 It will also slot in at a cheaper price than the 4x4 equivalent, so it should be an attractive choice. 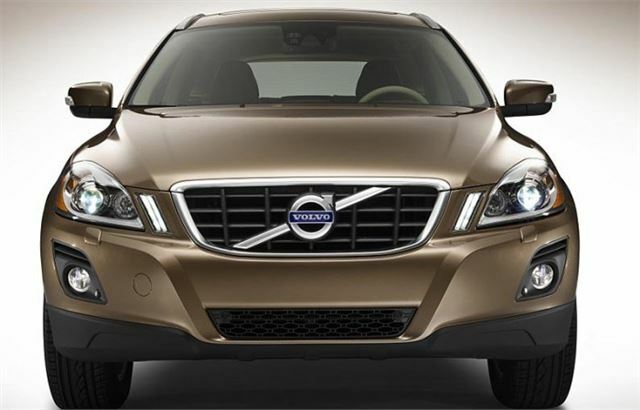 Volvo has rarely been complimented for the entertainment value of its chassis, and the XC60 is no exception. It’s not bad, it’s just not that good. There’s a lot of body roll, giving you the feeling that the whole thing is top-heavy, which doesn’t inspire confidence through corners. Coupled with steering that feels rather dead yet is over-sensitive as you begin to turn it, your progress can feel a little uncomfortable. Even the ride quality is disappointing, picking up all sorts of minor bumps – but at least it’s better than the BMW X3’s. Volvo will be offering its ‘Active Four-C’ chassis as an option, which may improve the ride/handling mix. The one thing the XC60 does do well is grip: it remained tenacious on the rain-drenched Spanish roads of our test. For a brand that majors on safety, that’s good news. We didn’t get a chance to go off-road in the XC60, but for the record it has best-in-class ground clearance (230mm), and you can also order it with Hill Descent Control, so its pretensions seem serious. Speaking of safety, here’s the XC60’s Unique Selling Point: it’s the world’s first car to be fitted as standard with collision-avoidance automatic braking. At speeds up to 15kmh (9mph), the system will cut in to stop the car if its built-in laser detects an object immediately ahead; it will also slow – but not stop – the car from speeds up to 30kmh (19mph). Given that Volvo’s data says that 75% of all accidents occur at below 20mph, and that its system should prevent crashes in at least half of those accidents, as many as four out of every ten accidents could be avoided with this system. Elsewhere, the XC60 is stuffed with safety devices. There are more acronyms in an XC60 than a blue-sky think-tank document: DSTC (Dynamic Stability and Traction Control), RSC (Roll Stability Control), DAC (Driver Alert Control), ACC (Adaptive Cruise Control), DA (Distance Alert), BLIS (Blind Spot Information System), (IDIS) Intelligent Driver Information System, LDW (Lane Departure Warning), CW (Collision Warning) and TSA (Trailer Stability Assist). Phew! So the premium 4x4 market has a new entrant. If you want a better value alternative to the BMW X3 and Audi Q5, the XC60 certainly has its attractions. Its quality – both in terms of build and design – is up there with the best. No, it’s not the most fun-to-drive car on the road, and its engine range is starting to feel dated, but as a buy, the XC60 is a pretty safe bet – in all senses of the word.